One of my favorite holiday traditions is going out to the mailbox and hoping there will be a pretty card or two waiting for me. Such a simple gesture, but it brings a smile to my face every time. My sincerest thanks to everyone who takes the time to send us one! I really do love them and hang them up to look at them for the entire season. 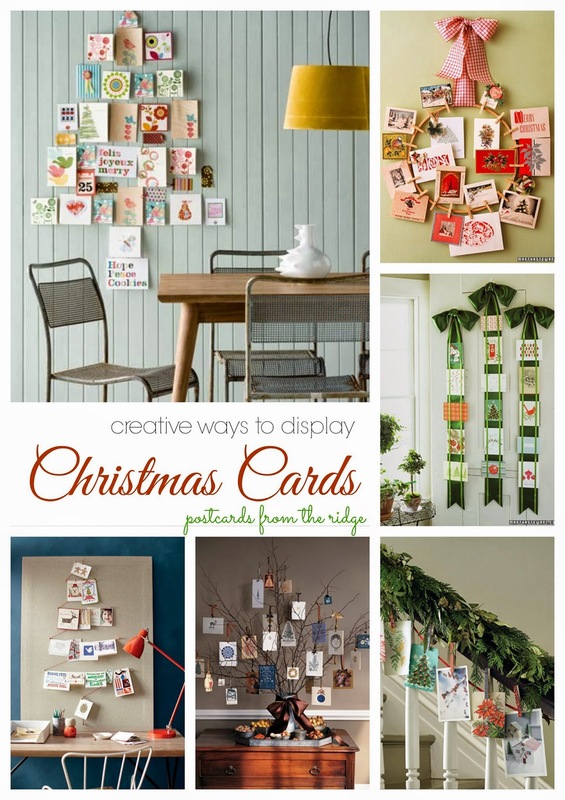 Here are just a few fun ways to display them, courtesy of Martha Stewart. 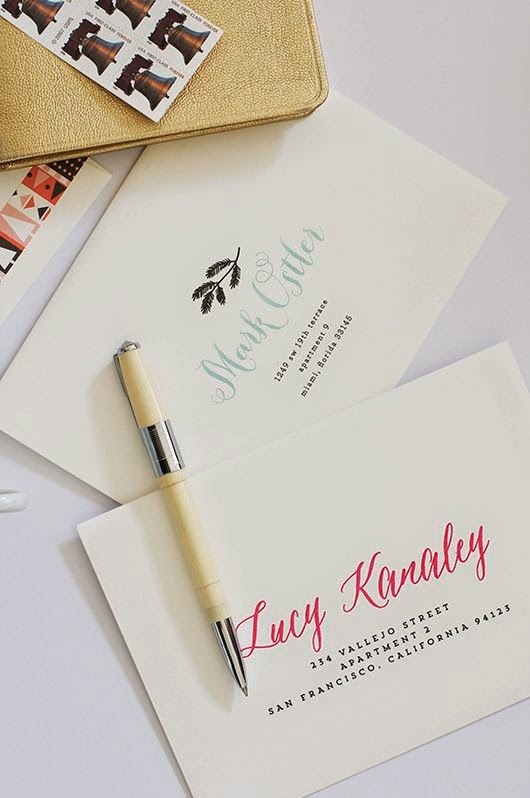 *Disclosure - this post is sponsored by Minted who is providing me with product and/or monetary payment. All opinions are completely my own, and I would never recommend a product that I didn't love. This post contains affiliate links for your convenience. If a purchase is made after clicking one of the links I might make a small commission. Your price does not change. For full disclosure, go here. In this day of electronic communication it's even more important than ever to reach out and give a heartfelt greeting during the holiday season. It can be a tough time of the year for some people, especially if they've lost a loved one, and a holiday greeting can bring a little extra joy to their day. Wouldn't you be smiling if you got these in the mail? I know I would. Choosing the right card is always a challenge for me since there are so many pretty ones to choose from. I always love looking at all the artwork and greetings, deciding which one is my favorite. That's why I was excited when Minted asked me to choose my favorite cards and share them with you. I chose my favorites and you get to help me pick a favorite one by voting! 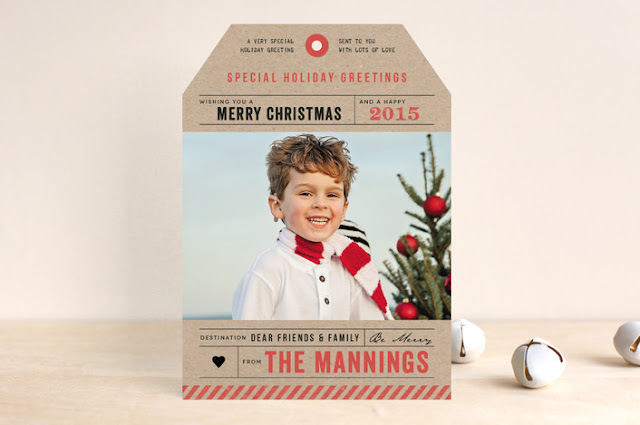 First let me tell you a little about Minted in case you're not familiar with them. 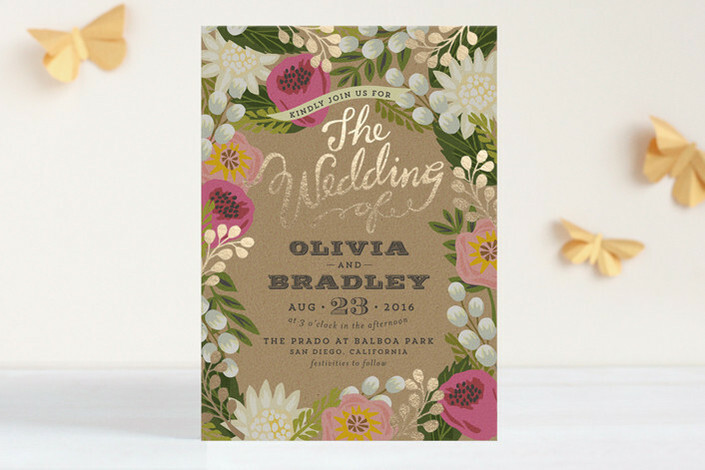 They're so much more than just beautiful greeting cards! 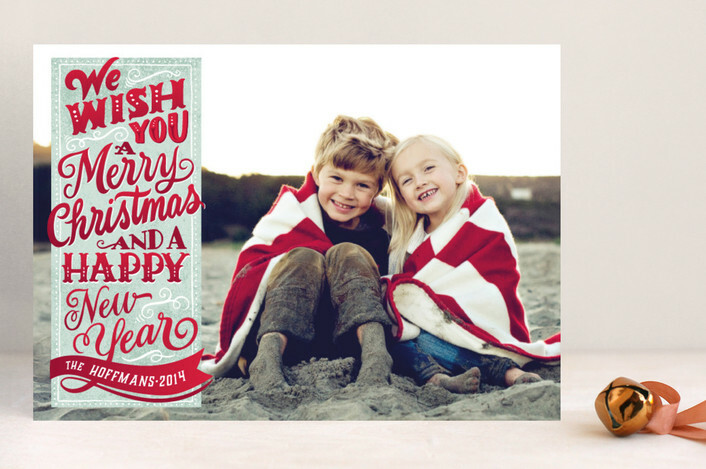 Of course they're famous for greeting cards for all seasons and all types of celebrations. Lots of shapes and colors to choose from. And you get several options once you pick the card you want. For example, you can change some of the colors and often the shape of the card. I love options, don't you? In addition to changing colors on the card, you can choose what's on the backside AND even what the envelope is lined in for some cards. Now that's a lot of choices! Having a party? 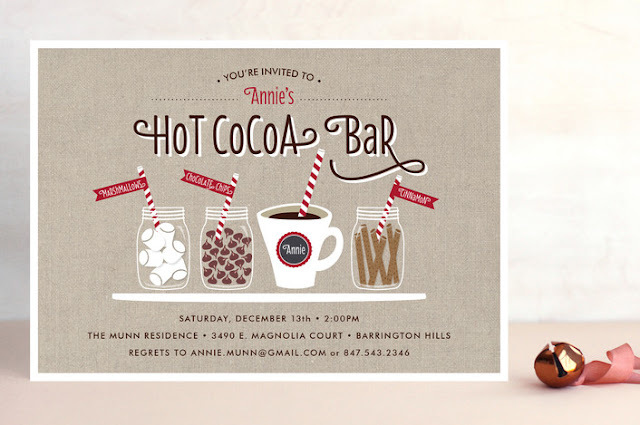 They've got you covered on fun invitations for any type of gathering whether it's a cookie party, beer tasting, hot cocoa party, or whatever. The sky is the limit. And the artwork is amazing. No time to address all those cards? No worries. They'll take care of that too! And look how pretty they are! I could never write that nice. And of course they have beautiful wedding, shower, birthday party, and anniversary celebration invitations. I adore the floral one above. Artwork and fabrics from many talented artists are also available. I'm amazed at the talent showcased here. Now I need your help with my cards. I narrowed it down to seven. And even that was difficult. Leave a comment below and let me know which one is your favorite. They'll have my family on them instead of the cute kids shown. Not that my kids aren't cute, but you know what I mean. I hope to get them ordered and sent out by the first week of December, good Lord willing. I always get the nicest responses from some of my aunts and uncles when they get our photo cards. They've enjoyed watching the girls growing up through the years and they hang on to the cards to see how much they've changed. One of my aunts keeps the cards on her refrigerator all year! Update - $25 offer is expired. Go here for current discounts. Thanks for dropping by. 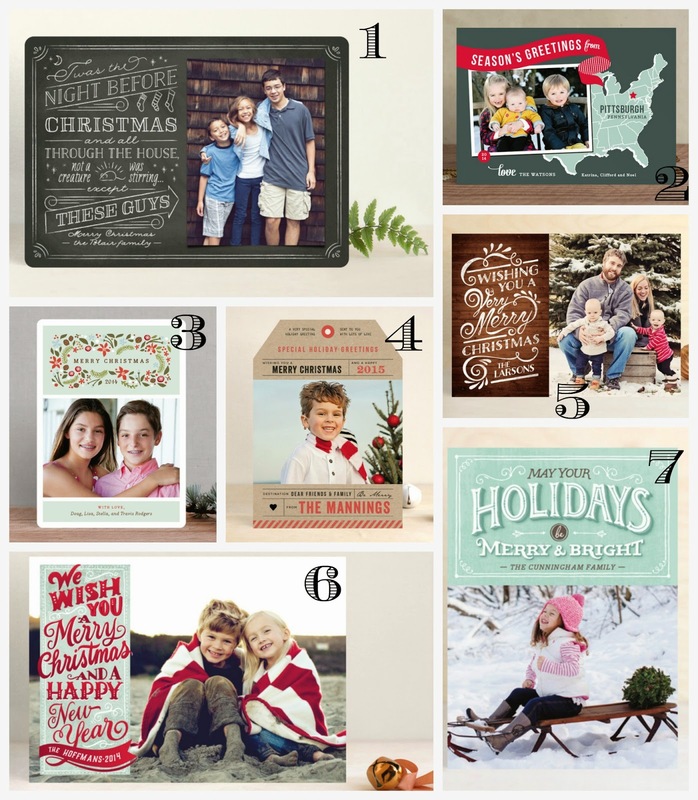 And don't forget to vote for your favorite Christmas card design! I'll reveal the winner in a week or so. I agree,Jason. That's one of my favorites for sure! Thanks for voting. I'm usually last minute too! In fact, I didn't even get them sent out last year! Shhhh! Don't tell! #7 is one of the leaders in the voting! I love #6! Picking Christmas cards is one of my favorite things about Christmas! Have a great week and thanks for the inspiration! This is a tough choice because I really do like them all. I'm going with 3. I love them all! #1 and #7, but they're all great! I will check out Minted for sure! I love #6! 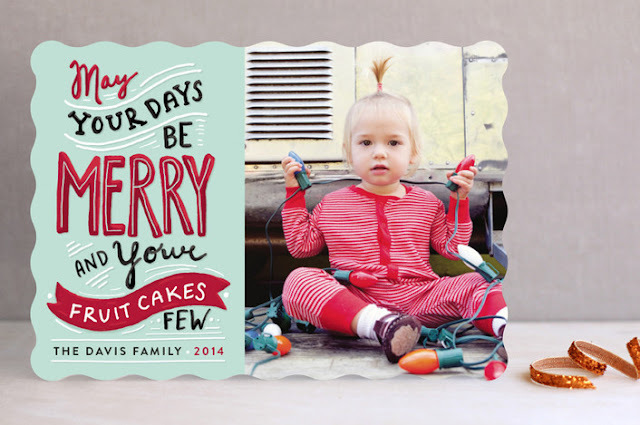 I definitely need to order some Christmas cards this year since last year I waited until it was too late! Wow, those are all awesome!! Love them! 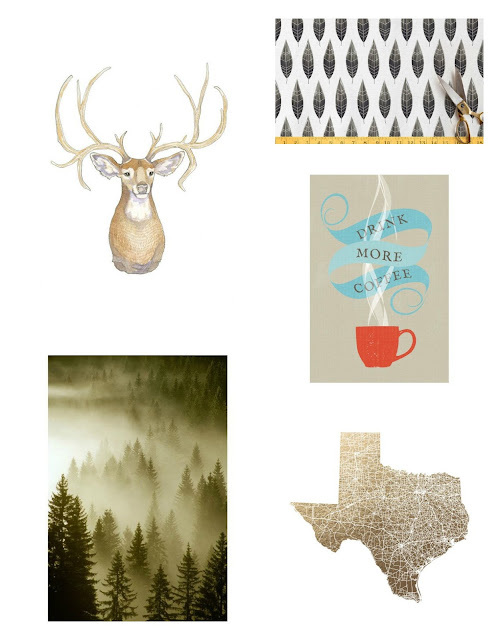 These are lovely but my fave would have to be #6.